UC Baby is the leader in 3D/4D Ultrasounds for expectant families, offering high quality photo-like images of your unborn baby. Indulge in the most memorable pregnancy experience in a relaxing comfortable environment.You’ll be amazed to see your baby kicking, yawning, and even sucking on their toes. What a beautiful first glimpse at your baby. an emphasis on childhood nutrition. The First Memories™ (FM) Program of interactive, self-serve, web-enabled and kiosk-based, in-hospital baby photography has processed more than 80,000 pictures in 14 hospitals across Canada. Parents, family and friends may use a picture from their own digital camera card, take an overhead of their newborn on a warmed pad at the kiosk or take a frontal picture with baby in arms at the kiosk and receive a free print on a hospital template immediately. A web album is established for the parent at www.firstmemories.ca and their password sent to their email afterwards. Print packages can be ordered at the kiosk or later from the website. Emails of the picture can be sent from the kiosk or later from the website. There are numerous prizes, including picture of the month and year given to our users. Valuable coupons and other sponsor offerings are available through the website. A narrated “Introduction” is provided at www.firstmemories.ca/fm/intro. 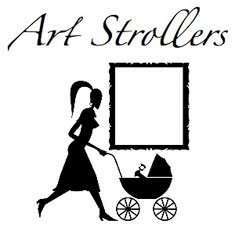 first year which include “baby friendly” samples, coupons and literature from the FM Program, Huggies® (diapers & wipes), Baby Stages (magazine), UC Baby (ultrasound), Brand Celebrations Inc. (in-home and sponsor-driven gifting parties), Today’s Parent Magazine (magazine), C.S.T. Consultants Inc. (RESP) etc., and the list is growing quickly. Recipients of the Gift Bags are encouraged to register for the GIFTClub by postage paid registration cards or telephone or online to obtain further coupons and offers as well as chances to win substantial monthly prizes and a yearly prize of a room makeover, or cash equivalents. Expectant and new parents can sign-up today atwww.firstmemories.ca/giftclub. The Lunch Lady has been preparing and delivering individually catered hot and cold lunches to children at school since 1993. We are the largest provider of this service in Canada, serving thousands of children every school day through nearly 50 franchises, in 5 provinces! The Lunch Lady never forgets who she is making lunch for – your children. All of our meals are prepared fresh daily in a commercial kitchen owned and operated by your local Lunch Lady. To learn more about our programs and to join the conversation about healthy eating, visit us at www.thelunchlady.ca. You are cordially invited to join us every Tuesday night 6pm PST/ 9pm EST for our free webinar series, sponsored by Where Parents Talk! Mark your calendar, set your alarm, let your hubby know, whatever you have to do! We cover everything from how to have a great pregnancy to how to get your kids to eat more vegetables. 5mins before and call into the number on the screen or through Skype. After the webinar meet us on Twitter as we mingle with healthy moms and expand on the information from the Healthy Moms Healthy Babies webinar. 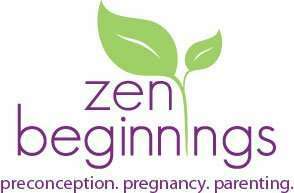 Zen Beginnings is a multi-disciplinary wellness centre & yoga studio that offers a wide variety of natural and holistic services aimed at health & wellness, fertility, pregnancy, hormonal balance and parenting. We are a place of information and education for men and women seeking to learn how to live healthy lifestyles and a place of support for new moms as well as growing families. Core Expectations is Toronto’s only in-home service providing safe and effective pre & postnatal personal training, abdominal rehabilitation and other support services exclusively to pregnant women and busy moms with little time in the privacy of their home. any correspondence their children send and receive.